Welcome to Ward 5 Online: 4th of July Fireworks/Live Entertainment! Festivities Begin at 6pm! 4th of July Fireworks/Live Entertainment! Festivities Begin at 6pm! On Thursday, June 28th, (rain date of July 5th) please join Mayor Curtatone and the City of Somerville for the annual 4th of July Fireworks, with live entertainment beginning at 6:00 P.M. 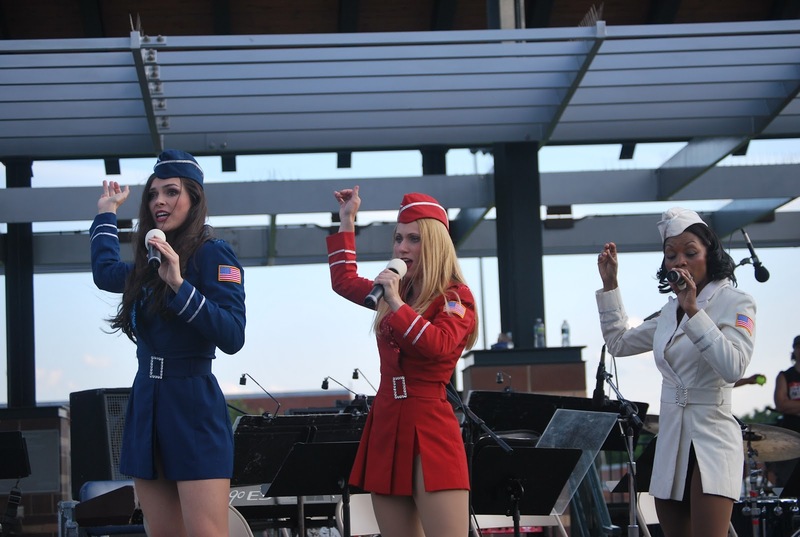 The entertainment lineup for the Fireworks includes performances by the Somerville Sunsetters, local Disco-Funk band Booty Vortex, the USO Metropolitan New York Performers, and the U.S. Air Force Band of Liberty, leading up to a 30-minute fireworks display at approximately 9:15 P.M. In case of rain on Thursday, June 28th, live entertainment will be moved to the Somerville High School Auditorium. FA.M.ily Fun Day will be held at Trum Field on Saturday, June 30th , (with a rain date of July 1st) from noon – 5:00 P.M. and will include FREE BBQ, children’s activities, watermelon eating contests, face painting, a Curious Creatures demonstration, music and much much more. Cedar Street from Morrison Avenue to the Bridge: No parking on either side from 8:00 A.M. – midnight. Traffic restricted to residents only from 4:00 P.M. - 6:00 P.M. (from Morrison Ave. only). No access to street after 6:00 P.M..
Cedar Street from the Bridge to Broadway: No parking on either side from 8:00 A.M. - midnight. Street will be closed from 4:00 P.M. – midnight. Traffic restricted to residents only from 4:00 P.M. - 6:00 P.M. (from Morrison Ave. only). No access to street after 6:00 P.M..
Franey Road: No Parking on either side from 4:00 P.M. – midnight. Street will be closed from 4:00 P.M. - midnight. Restricted area authorized personnel only. Ryan Road: No parking on street on either side from 8:00 A.M. - midnight. Access restricted to residents from 4:00 P.M. - 6:00 P.M.. No access to street from 6:00 P.M.- midnight. Bus Schedule – the route for buses 80 & 89 will be rerouted from 5:00 P.M. - midnight. Bus 80 from Lechmere will maintain regular route to Magoun Square, it will pass through Magoun Square and take a left onto Harvard Street to Warner Street until the Powderhouse Rotary where it will connect back to College Avenue and the regular route. Bus 80 from Arlington Center will maintain regular route to Powderhouse Square rotary, take a right onto Harvard Street, right onto Main St., cross Magoun Square and return to regular route. Bus 89 from Sullivan Square will maintain regular route to Winter Hill at Broadway and Main St. right onto Main St., Left onto Harvard Street to Warner Street, to the Powderhouse Rotary and return to the regular route. Bus 89 from Clarendon Hill will maintain regular route to Powderhouse Rotary, around to Warner St., to Harvard St., right on Main St., left Broadway at Winter Hill to regular route. No parking of Franey Road from 8:A.M.-6:00 P.M.